After several days of great weather, we set out on a Thursday that was expected to be cloudy. It would be a perfect day to forsake the beach and take a drive to the North Fork. By the way, mid-week sojourns avoid the weekend crowds and traffic. Folks in shops, wineries, and restaurants will be glad to see you. Remember that Out East in the summer, many restaurants are closed on Tuesday and Wednesday. No picnic for us this time. Instead we decided to visit the Turkuaz Grill restaurant located at 40 McDermott Avenue in Riverhead. 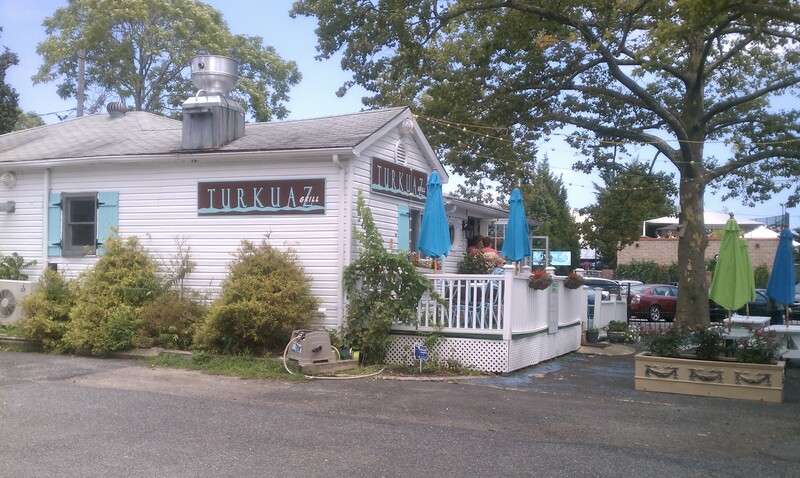 This small Turkish restaurant is close to the Atlantis Seaworld, overlooking the Peconic River. There is plenty of parking nearby. The similarity between this setting and the restaurants lining the banks of the Bosporus was not lost on the restaurant owners or us. Having traveled in Turkey and enjoyed the excellent cuisine, we were pleased to see that the restaurant’s location was not the only similarity to Turkey. The food is great! Hungry after some morning shopping, we ordered an eggplant salad appetizer called Patlican Salatasi that we shared, along with some warm pita slices. The eggplant was delightfully smoky, and was mixed with dill, onion, olive oil, and lemon juice. Light, bright, and tasty, we loved it. The menu has many excellent appetizer and main course choices that tempt us. More importantly, there are many vegetarian choices that will work for diners with dietary constraints. This place is not just about meat. However, the Turks have a way with lamb that is like no other. Our challenge is deciding which lamb kebab we want to try. Ready for the main course, we shared a “Spicy Beyti Kebab”. This dish is ground lamb flavored with garlic, onion, and parsley. Served with rice, spicy bulgur, beet salad, and red onions, it was delicious and spicy. With an appetizer to start, we thought one plate would be plenty for two people. We were right! Naturally, we had some wine with our lunch. 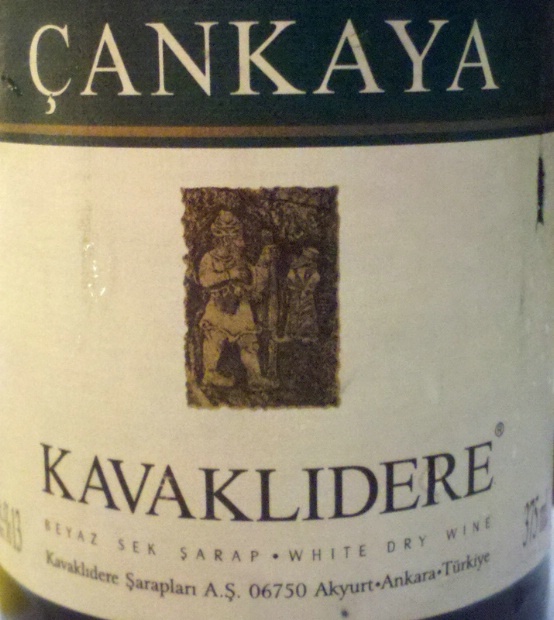 When we visited Turkuaz back in April, it was still possible to bring a bottle of wine with you and pay a corkage fee. That practice has ended, so expect to order wine from their short but delicious list. We decided to try two different wines with our lunch, a dry 2012 white called Cankaya and a 2011 rose called Egeo. These were reasonably priced by the glass, and worked well with the food. 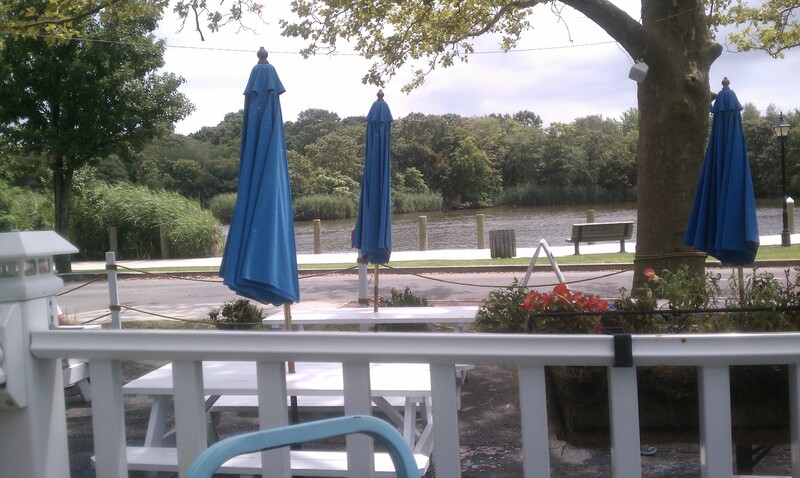 You can sit outside on the deck as we did, overlooking the mighty Peconic River, or enjoy your meal in the airy dining room as many of our fellow diners did. Another option is to take out your lunch and sit at one of the many picnic tables that line the river bank. We love Turkish food, and will be writing about other Turkish restaurants on Long Island. There are some jewels scattered about the island in unusual places, and we will let you know about them. We will tell you about a visit to Love Lane. Coming soon after… some great winery visits, a chat with a very interesting winery hostess, and a great lunch at Prep in Greenport. Stay tuned…and enjoy your trip around town!